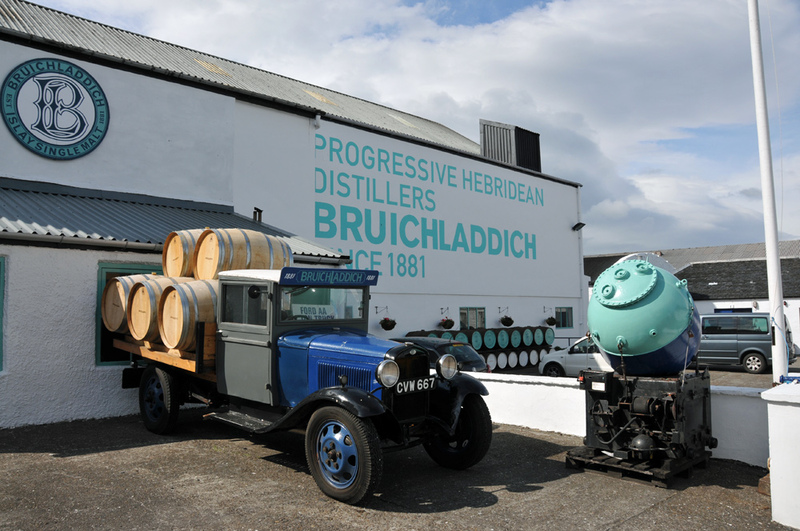 A lovingly restored old lorry (not sure which make, I think possibly a Ford) at Islay’s Bruichladdich distillery. It has been restored by Duncan McGillivray. Next to it an old mine. This entry was posted in Distilleries, Repost, Sunny Weather, Village and tagged Bruichladdich, Islay by Armin Grewe. Bookmark the permalink. Looks like a “Ford” to me…..great capture and an interesting take.